This article is going to cover a few problems that are often seen as having no relation to each other. Snoring, sleep apnea and diabetes are three separate issues that are surprisingly interconnected. We’re going to go into each issue first to establish an understanding of the diagnoses. We’ll then look into a few of the shared risk factors and what one illness can tell you about the others. Understanding the link between sleep apnea and diabetes will help you look out for any connection occurring in your own life. You may already have a decent idea of what sleep apnea and the other disorders in this article are. However, it might help to understand the connection between sleep apnea and diabetes if you’re given a little refresher of what each one entails. Sleep apnea is not so much one specific illness, but a number of illnesses that fall into the category of “sleep-disordered breathing.” These issues are typically divided into two categories– hypopneas and apneas. Hypopneas are only partial disruptions of one’s breathing as they sleep. Apnea is the term used when a person’s breathing is entirely disrupted during sleep. Apneas can be very long, lasting over one minute in some cases, while others can be extremely short. In any case, each degree of severity interrupts sleep and require attention. It is an extremely under-diagnosed issue. It’s estimated that more than a quarter of individuals from age 30 to 70 have sleep apnea, but that number could be low considering that not every case of obstructed breathing causes the person to wake up. Most of the symptoms associated with sleep apnea are symptoms that align with symptoms of poor sleep or lack of sleep. Daytime drowsiness is an extremely common symptom. This can lead to more problems at work, in relationships, driving, and taking care of all of life’s normal functioning. In fact, feeling sleepy all of the time is the most notable symptom of sleep apnea. Further, serious cases will lead to a person having difficulty concentrating and specific things. You may find that your mind is wandering off as you’re trying to take care of normal tasks. This is often accompanied by a difficulty remembering things that would normally come immediately to mind. Daytime headaches are also a very common symptom. Finally, those who experience sleep apnea, in addition to the symptoms above, will be put at a higher risk for other diseases. The causes of sleep apnea are multifaceted, although the most common cause is obesity. A person is far more likely to experience sleep apnea if they are overweight. Excess weight affects the soft tissue of the mouth and throat, which becomes more likely to constrict airflow when the tongue and throat are relaxed during sleep. Dental issues like overbite can also cause sleep apnea, although this typically causes issues to arise in childhood. Some general physical characteristics can also lead to sleep apnea, such as narrow throat and neck, or particularly round head. Additionally, hypothyroidism is a condition that can lead to a constriction of the airway. Deviated septum and allergies are also risk factors that lead to blockage in a person’s upper airways. Snoring, as we all know, is the annoying and ugly sound that comes from your mouth as you sleep. It’s a result of vibration in your relaxed tissues as air moves through them. It typically only occurs when air cannot move freely throughout the nasal or throat passages. Any sort of condition that prevents airflow from nasal passages can force you to sleep with mouth open and snore occasionally. This includes congestion of any kind, allergies, and common cold or viruses. Additionally, anything that regularly relaxes the tongue and throat muscles can contribute to snoring. This is part of the reason that drinking alcohol and smoking have been known to increase snoring. Both activities can contribute to the relaxation of your tongue and throat. The most common symptom of snoring is all in the name. The harsh and irritating sound that comes out of a person’s mouth as they sleep. This can often lead to relationship troubles, is it makes it difficult for a snorer’s partner to sleep. Beyond that, a lot of the symptoms associated with snoring overlap with those of sleep apnea. This is because snoring itself is often a symptom of sleep apnea. Diabetes is an extremely complicated issue that millions of Americans deal with. The disease is a result of blood sugar levels staying regularly above their healthy state. There are two types of diabetes, and they both have to deal with the production or reception of insulin. Type 1 diabetes is a result of a person’s inability to produce insulin. Type 2 diabetes occurs when a person’s body doesn’t respond to the insulin that it produces. Insulin is a hormone that our endocrine system produces to regulate blood sugar levels in addition to allowing our body to translate glucose into energy. Type 1 diabetes is a result of a malfunction between the immune system and the pancreas. In essence, one’s immune system destroys the cells in the pancreas that create insulin. In this case, you don’t have insulin to move your glucose from the blood to your cells, leaving the glucose (sugar) in your blood, and leading your cells to starve for energy. One way that the body releases extra blood sugar is through urine, which also releases a good deal of water. This is why people with type 1 diabetes feel the urge to urinate a lot, in addition to experiencing dehydration. Additionally, excessive urination leads to a loss of calories which can lead to weight loss. While your blood has too much glucose, your cells are being starved of the energy they need, this leads to a host of other problems. When your body doesn’t have the energy source it needs in glucose, it will begin to break down different cells for fuel. Typically this means that the body breaks down fat cells, generating a chemical called a ketone. Additionally, your liver will parse out some sugar to help out the process of creating fuel. Unfortunately, the sugar from your liver has no insulin to break it down, so the ketones and excess sugar are left without homes. This, in combination with dehydration, is called ketoacidosis, which is often life-threatening. While both forms of diabetes depend on the body’s relationship to insulin production, type 2’s origin comes from the opposite end of the equation. Type 1 diabetics have issues because their bodies don’t produce adequate insulin, whereas type 2 diabetics aren’t able to handle the insulin that their bodies produce. Similarly to type 1, the imbalance of glucose being used by the cells leads the body to find alternative ways to generate energy for the body to use. Some of the symptoms of early diabetes include a general lack of energy, weakness of muscles, consistent hunger, thirst, visual issues, and the need to urinate often. These symptoms are likely to come in different degrees and can develop at different rates as the disease continues. Later symptoms can lead to extremely slow healing of cuts and damages to your skin, patches on your skin, pain in the feet, and lack of feeling in your hands and feet. People often assume that because a person has diabetes, they are overweight. This is certainly not the case. While there is definitely a connection between obesity and diabetes, it doesn’t always have to be that way. In the case of type 1 diabetes, people typically lose weight. It is type 2 diabetes that is commonly associated with being obese. Being obese certainly increases a person’s likelihood of developing type 2 diabetes. Additionally, unhealthy and sugary diet can contribute to a more difficult experience for a person with the disease. It’s essential that a diabetic person takes care to control their blood sugar levels and take note of what they’re putting into their bodies. A diabetic will have fewer and less severe symptoms if they can work to maintain a healthy weight. The most notable risk factor that’s common between all three of the issues listed in this article is obesity. Obesity is often a direct cause of sleep apnea, and it is deeply interconnected with type 2 diabetes. The state of a type 2 diabetic’s weight is directly connected to the severity of their disease in most cases. Additionally, unaddressed sleep apnea is often connected with a person’s increase in glucose. Whether this is a biological factor as a result of poor sleep or the result of environmental changes as a result of the symptoms of sleep apnea depends, but the fact is that sleep apnea can lead and contribute to type 2 diabetes. In other words, sleep apnea affects blood insulin levels and increases the behaviors that lead to diabetes in some people. Weight, as we discussed, contributes to the constriction of one’s airways during sleep. In some cases, the extra weight of your neck presses down upon your airways during sleep and causes sleep apnea in that way. Other cases have more to do with excess weight and the soft tissue in your neck. Post-sleep apnea, the most common contributor to excess glucose is the stress associated with sleep deprivation. This is an extremely close link between diabetes and sleep apnea. We’ve covered a lot of ground in this article, and we haven’t quite taken a section to clearly lay out the connection between sleep apnea and diabetes. Most, if not all shared symptoms between sleep apnea and diabetes come from the stem of obesity. Sleep apnea, in most cases, is caused by a person being overweight. If a person starts out with diabetes and later develops a case of sleep apnea, the cause is likely going to be weight gain if the two illnesses are connected. Further, if you start out by having sleep apnea and you later develop diabetes, it’s likely going to be type 2 and generally happens because you’re at a greater risk factor for type 2 if you’re obese. So, on the front end of things, being obese definitely contributes to your chances of getting both sleep apnea and type 2 diabetes. As things progress, adding weight is only going to make symptoms worse. On the one hand, adding weight will only serve to constrict your breathing more, while more weight means you’re eating foods that are contributing to blood sugar levels too high for your body to manage. While one illness can’t cause the other, each one certainly affects the other when they exist in the same person. We’ll start with sleep apnea and how it affects diabetes. The primary result of sleep apnea that affects diabetes is stress. Stress comes about as a result of the sufferer’s inability to get rest and energy needed to take on the next day. You can imagine the stress of being constantly tired, irritated, and unable to sleep. Stress can result from both physical and mental stress. Things like sickness, procedures, and injuries are contributors to physical stress. These things usually cause an increase in blood sugar. Mental stress (the stress associated with sleep deprivation) can both increase and decrease blood sugar levels. In type 2 diabetics, that stress typically results in a rise of blood sugar levels. In type 1 diabetics, it can go both ways. That stress can also cause a person to act in ways that aren’t conducive to health. Things like overeating, under-eating, forgetting to check insulin and blood sugar levels, and more, can all contribute to the worsening of diabetes. If you’re experiencing the connection between sleep apnea and diabetes first hand, it’s important that you understand each one and how they interconnect in your own life. In most cases, that means snoring. 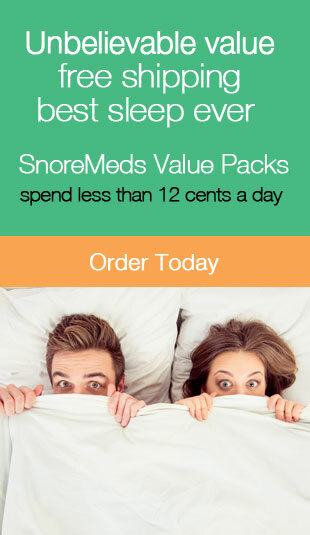 If you’re doing a lot of snoring and want it to stop, visit our site for more information. Additionally, we have more resources for more knowledge on sleep apnea, diabetes, and snoring. In this article, we're going to go over some of the most common causes and symptoms of poor circulation you should be aware of, along with some treatment options if you suspect you have poor circulation.